The freshest crop of Disney darlings are releasing an album! 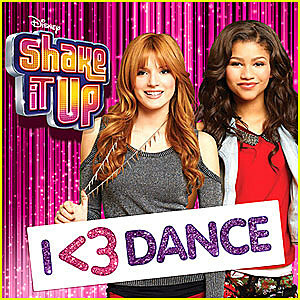 Zendaya and Bella Thorne each have tracks on the latest soundtrack of their hit show, ‘Shake It Up: I <3 Dance' tracking listing! Via Just Jared Jr., the album also features a remix of the theme song to the dance-centered series, sung by none other than Selena Gomez. Other artists featured include Bridgit Mendler, Caroline Sunshine, the McClain Sisters, Roshon Fegan and more. You can snag your copy on March 5. 10. ‘I Can Do Better’ — Young L.A.